. . . Part of the team? Pray for the team! That should be our motto as Christians. James 5:16; "Confess your trespasses to one another, and pray for one another, that you may be healed. The effective, fervent prayer of a righteous man avails much." The Bible tells us, if we are the member of a local church we should be lifting our brothers and sisters up in prayer - especially those who have needs. Keeping a prayer list is the best way to be reminded of these things. 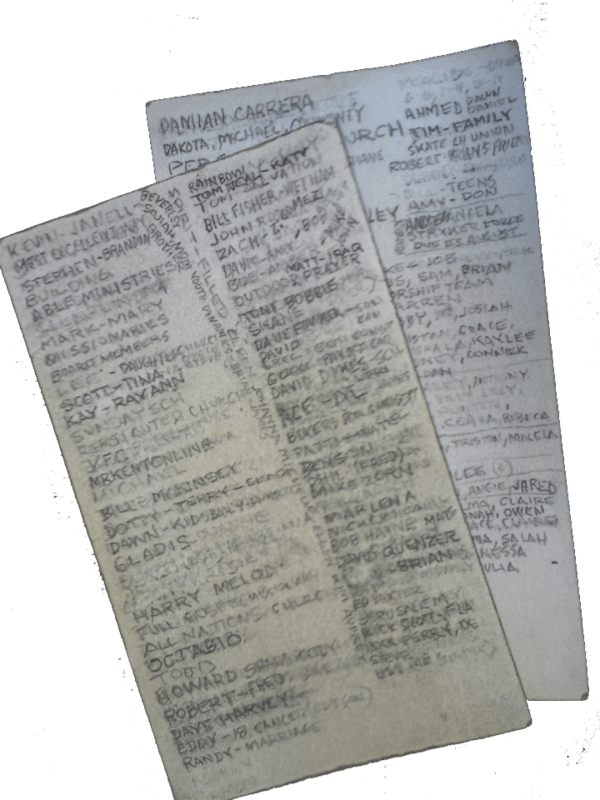 Many folks keep their prayer list on 3 X 5 cards. Others on a scrap of paper kept in their Bible. The important thing is to keep your prayer list organized and up to date. This application is provided to help with that task. This application allows you to create categories of your choice such as family, church family, healing, etc. You create each category for your specific area of prayer. Then you can manage your prayer list by adding prayer requests to the list, deleting them, labeling them as “answered” but retained in your database of requests. You also have the option of making your prayer list totally private, or you can allow friends you trust to view your list. This application is totally free and available to meet your prayer needs.